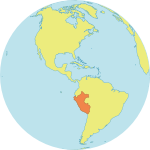 PIURA, Peru – Flooding and heavy rains on the northern coast of Peru caused widespread displacement and damage between February and April. Over a million people were affected and a state of emergency was declared. Women and girls faced some of the greatest challenges, including the threat of dengue fever and Zika to pregnant women, barriers to family planning services, and increased risk of gender-based violence, which often escalates during humanitarian emergencies. UNFPA has been working with the government and local partners to ensure affected women and girls receive the services they need. By July, an estimated 10,000 women and girls had been reached with life-saving reproductive health services and efforts to prevent gender-based violence. In the hard-hit departments of Piura, La Libertad and Lambayeque – where over 210,000 have been affected – UNFPA and the Regional Health Directorate have deployed mobile brigades staffed by physicians, gynaecologists, obstetricians, psychologists and social workers. UNFPA has also organized more than 150 awareness-raising sessions in roughly 20 camps and communities in the most affected areas, reaching more than 10,000 women. These sessions address issues including where to find maternal health care, how to prevent unintended pregnancy, how to identify the signs of pregnancy complications and how to preventing dengue, Zika and Chikungunya infections. 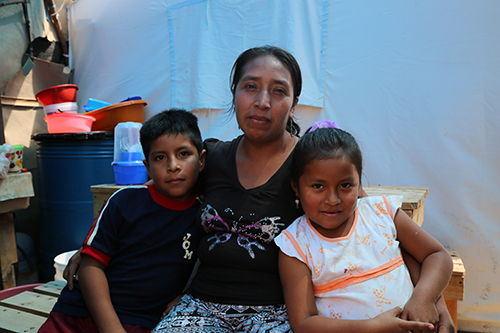 Marta*, a 34-year-old mother of two, is living in a San Pablo shelter. She says access to reproductive health care has offered her family peace of mind in a difficult time. She discussed what she’d learned with her husband, and together they decided to avoid pregnancy until their lives are more stable. UNFPA is also supporting efforts to prevent and address gender-based violence. In camps in Piura, one of the worst-affected departments, UNFPA distributed 7,500 protection kits to women and girls. The kids contain whistles, solar flashlights, padlocks and other items. UNFPA also worked with community members to spread messages that promote safety and help survivors of violence find support services. Information was distributed about a helpline for survivors of violence, run by the Ministry of Women and Vulnerable Populations. Community members were also encouraged to identify reliable leaders to contact when needed. And women and girls were urged to use their whistles to alert authorities if they are in danger. UNFPA also provided medical and surgical equipment, health-care personnel and technical assistance to improve public health in emergency-affected areas. Experts say the humanitarian response has helped community members support themselves and each other. “Community committees for protection against violence towards women were created and strengthened,” reported Elena Zúñiga, UNFPA’s representative in Peru. And there has been increased recognition of the value of sexual and reproductive health care. “Awareness-raising and information activities led to an increase in the demand for sexual and reproductive health services at medical units,” Ms. Zúñiga said.